A Sacramento man was arrested after flashing a gun during an alleged road rage incident. Just after 2 p.m. on Saturday, September 29, Melvin Douglas Parks, 68, was driving a vehicle and involved in a road rage incident with another motorist near Big Horn Boulevard and Elk Grove Boulevard. 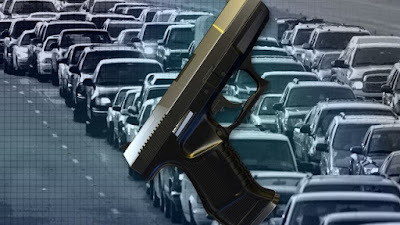 Parks reported pulled up to the other vehicle involved, and displayed a firearm. Responding police officers located Parks and initiated an enforcement stop. A search of Parks' vehicle led to the discovery of a firearm and a high capacity magazine. Parks was arrested and booked into the county jail but was released the following day.